Imogen's Typewriter. : Fiction Friday: Top 5 Summer Fiction Essentials! Certain times of year make certain books more appealing. The Harry Potters, for example, are great Christmas books. Bridget Jones is perfect to read in the New Year. 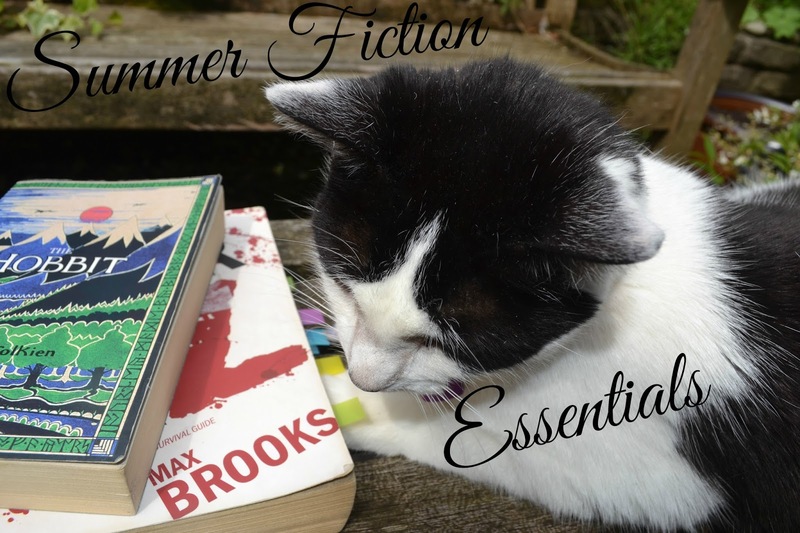 But Summer is unfortunately here and I have my top 5 Summer Fictional Essentials to share with you today! Somebody came to say Hi while I was taking pictures! I've read this every summer for... years. Thus it is in a rather rough shape and has stickers from French supermarkets stuck in the back. In fact, when I announced my Fiction Friday series it was World War Z in the picture! 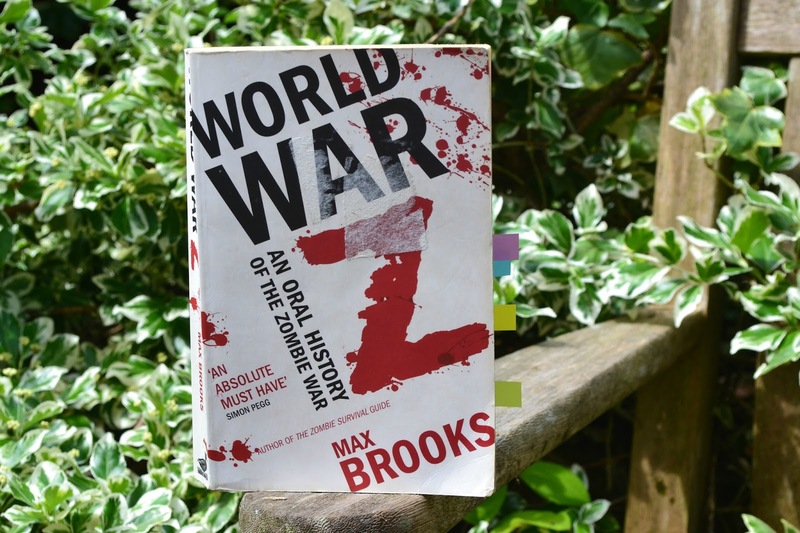 A 'factual' history of the zombie war written in interview style with it's noted survivors, this is one of my favourite books and I have a review and comparison with the movie coming soon. 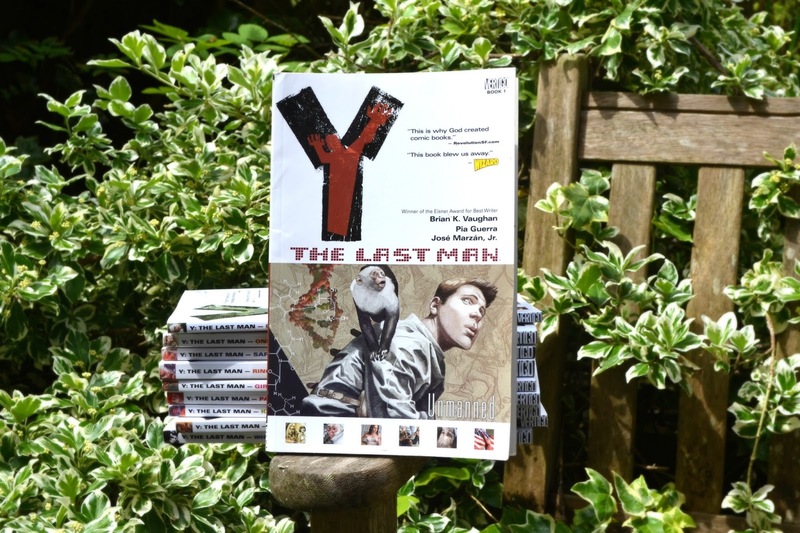 Y: The Last Man is the story of the last man on earth after every person and animal apart from Yorick and his pet monkey with a Y chromosome dies. It is... The best comic book ever. I love these books. I think Brian K Vaughn is a genius (he wrote a few episodes of Lost, and he's currently working on Saga) I watched an interview with him as part of my Gender through Comic Books course and he is as brilliant as his work suggests. I've also had the honour of meeting Pia Guerra and she is absolutely lovely. My signed and sketched books by her are definitely what I would save if my house was on fire. She is, in my opinion, the best artist in a very male dominated industry. But enough raving. Read it. 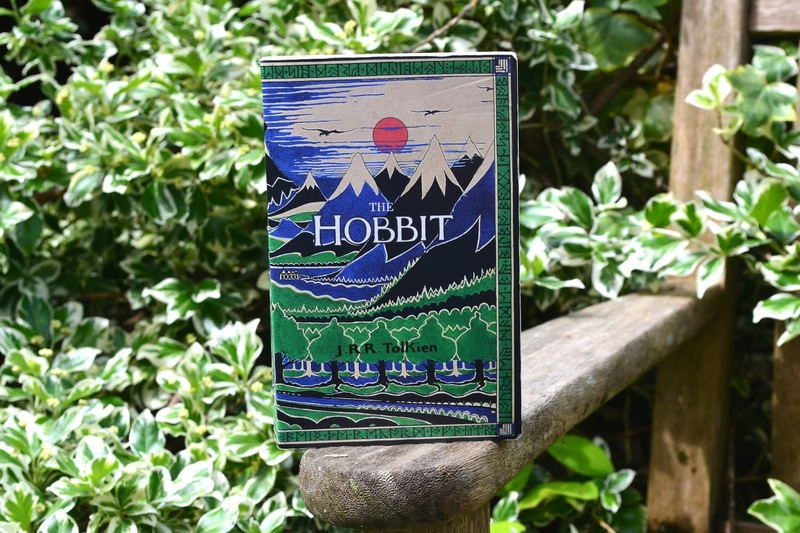 Can any book be more comforting than The Hobbit? Does anyone not just relax at the opening line; "In a hole in the ground there lived a Hobbit. Not a nasty, dirty, wet hole, filled with the ends of worms and an oozy smell, nor yet a dry, bare, sandy hole with nothing in it to sit down on or to eat: it was a hobbit-hole, and that means comfort.”? On those hot summer nights when the fan is blasting and I can't sleep because I feel like I'm in hell- The Hobbit is the book I reach for. And I'm looking to read of the Lord of the Rings series this Autumn so I want to re-read this first! In summer, at the beach or by the pool or just lay out in the back garden is there anything better than a bit of easy reading chick-lit? These books follow two cousins who summer down at the Jersey Shore and get themselves into all kinds of trouble. 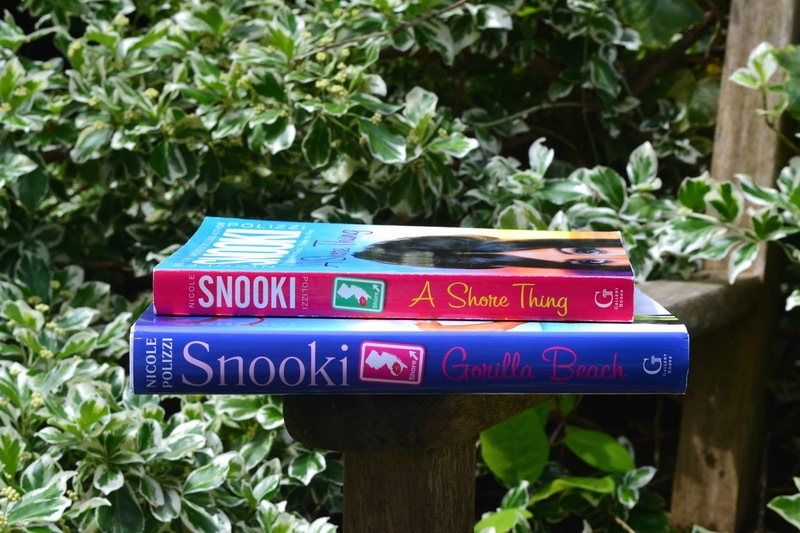 They're fun, well written and I love Snooki. It's back! Finally. After a dramatic finale of Season 1 I, like many others, waited impatiently for season 2 and it is back. With 13 episodes at an hour long each I'll probably be done with this season by tomorrow but even so I'm so excited! 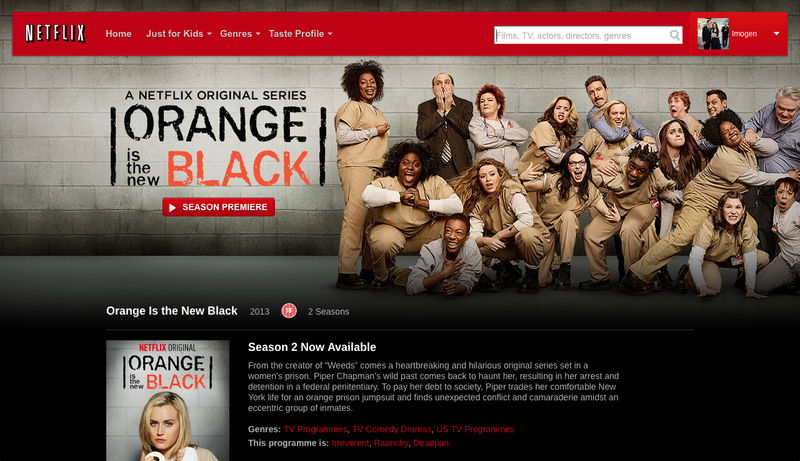 Orange is the New Black is the Netflix Original show based on Piper Kerman's memoir which I really need to pick up. Funny, dramatic and a female based cast? One of the best shows I've watched in a long time. What are your Summer Reading Essentials? You're so right - some books are just better at certain times of the year! I'd really never thought about it like that before but it makes total sense that sometimes I'm just not in the right mood. A little like certain movies are better at Christmas even if they're not really Christmas movies. I'll have to raid my unread book stash and find a good summery number to see if that gets me back into the swing of reading. Did you know that Orange Is The New Black is based on a book? I'm going to try and read it soon.